I’ve been rocking my senegalese twists for weeks now so my hair regimen has been low maintenance and I am loving it. My mother let me try her new shampoo and conditioner from Mahogany Roots so I decided to do a review on it. My scalp has been pretty itchy so when I saw the label “peppermint and tea tree” all I could think of was a cooling sensation that I desperately needed. 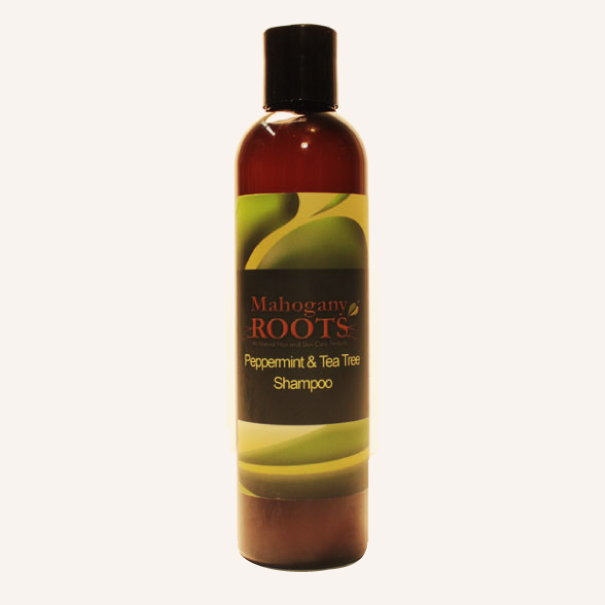 Mahogany Roots is an all natural hair and skin care line that using plant extracts and organic materials to produce products for all skin and hair types. What’s special about them is their vegan line. They have products for vegans who don’t use any animal based ingredients, pretty cool. What puts the icing on the cake is that the Mahogany Roots idea was created to support the Youth in Oakland, Ca. The founder is La Tronda Lumpkin, who is also Director of Pivotal Point Youth Services, Inc. Pivotal Point provides employment training, vocational skills development and entrepreneurship to at-risk youth in Oakland and Alameda county. 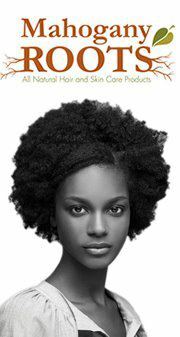 By supporting Mahogany roots you are not only treating your hair but rather supporting the community and showing your social responsibility. 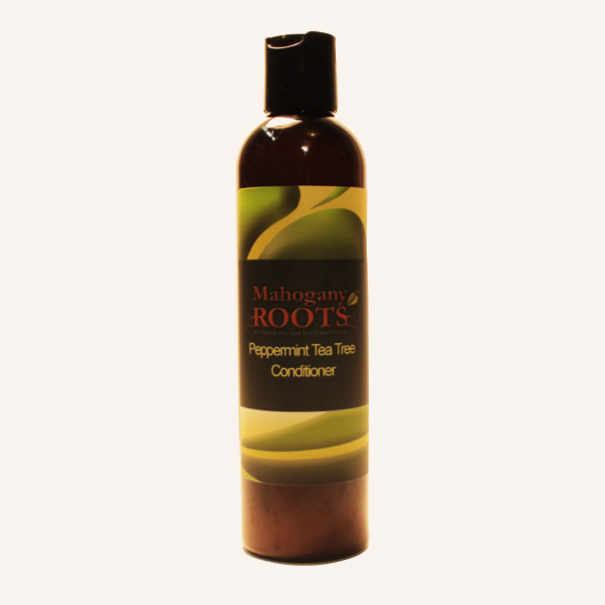 Product description: Designed to treat try scalp and dandruff while nourishing the hair. Ingredients: Aloe Vera Juice, Organic Lavender Water, Chamomile Water, Lauryl Sulfoacetate, Cocamidopropyl Betaine, Disodium Laureth Sulfosuccinate, Hydrolyzed Wheat, Vitamin B5, Kosher Vegetable Glycerin, Rosehip Seed Oil, Olive Oil, Black Willow Bark Extract, Sorbitol, Witch Hazel, Phenoxyethanol, Soy Protein, Rosemary Oleoresin Extract, Jojoba Seed Oil, Vitamin E, Tetrasodium EDTA, Citric Acid, Sorbitol, Glycerin, Pectin, Kelp Powder, Peru Balsam, Essential Oils. It did exactly what I need to do; soothe my SCALP!!! I like that it doesn’t have an extreme peppermint smell so you can really get a whiff of the lavender and chamomile. It says to lather, rinse, and repeat on the bottle so I did just that. However, I am the type who likes to put lots of conditioner on my hair I was was very generous with my squeezes. I let it set on my hair for about 5 minutes before I rinsed it out. Once again, the tea tree and peppermint really did soothe my scalp. Overall, I’d recommend these two products. You guys give it try and tell me about your results! Look on for more product reviews once I take these braids down cause I miss my afro! This past Friday I went to my first natural hair mixer EVER! I had no idea what to expect, but I knew that I wanted to be surrounded by women that looked like me, with hair like me, similarities, and simplistic beauty that I possess even if were just for a few hours. The natural hair mixer was put on by Sheree Murphy of Natural Habitat Beauty Boutique. Two meetup groups “Naturally Beautiful” and “SF Naturals” from meetup.com were in attendance at a Oakland location at J. Posh Design Studio. There were drinks appetizers, vendors, and warm spirits. I walked into live music, spoken word, and visual artists who shared their love for black beauty. Not only did I mix and mingle with the guests I was able to check out the cool vendors. 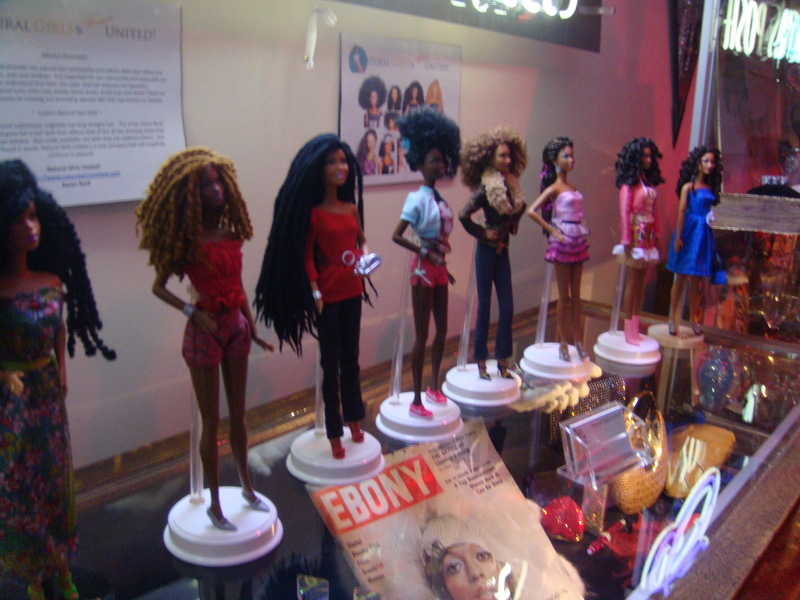 Natural Girls United had a display of beautiful hand crafted ethnic Barbie dolls. Willie D’s & Mrs. Louise Boutique displayed their plus size lingerie and there were also Nique Cosmetics and M.Williams Accessories. I enjoyed the variety of the vendors and was given a lot of information in the goodie bag given to me at the door. 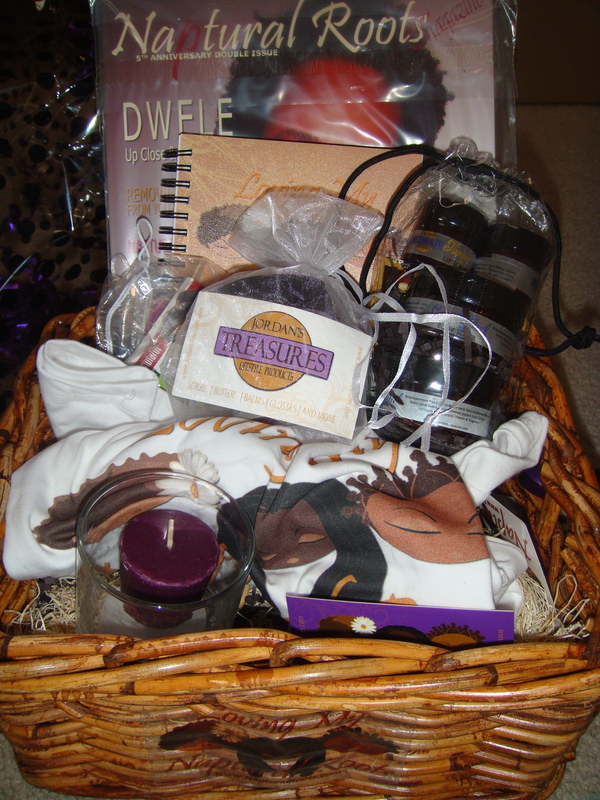 The icing on the cake for me was when I won one of the door prizes; A gift basket full of goodies by Naptural Roots . Check it out! 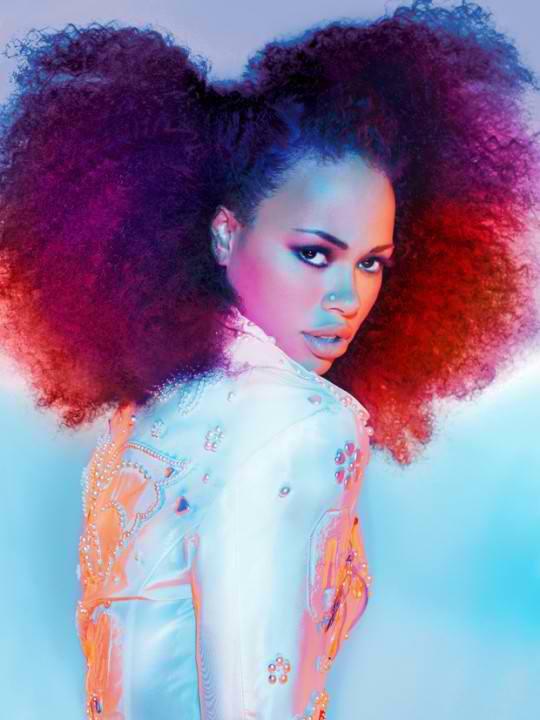 Can I get a refill of Elle Varner please? I seem to be catching the major late bus when it comes to new artists and music lately, however I couldn’t pass up this California girl, that not only my friend’s have been tweeting her sultry lyrics but also has been a radio sensation with her hit single, “Only Wanna Give it to You” featuring J. Cole. Elle Varner is a 23-year old West African, Black, and Swedish bred songstress has released her first album, Perfectly Imperfect. and Although I haven’t reviewed it yet, I have been stuck on her latest mixtape, Conversational Lush. The tracks remind me of an old school meets new school sound, with a very sultry voice to compliment. Elle also switches it us with her rhymes. Rapping over a jay-z inspired beat. I instantly downloaded her tape into my iTunes and have been jammin’ all week. My favorite songs are 32 flavors, Feel like a Woman, Refill, and So Fly. Maybe it’s the fact that I can personally relate the lyrics or the songs just went a long with this gorgeous weather the Bay Area has been receiving. I agree that regardless of your weight or body image you can still struggle with self esteem issues. This song teaches her listeners that you can be fly at any shape. Don’t compare yourself and your worth to anyone else just because society has conditioned us to do so. By using the “What if” sequence in her lyrics kind of sends a reminder to love your own body and soul. If I think, that I am governed by material things. Shout out to Clutch Magazine for keeping me up to date with this new one! Check out this new web series “The Couple” while on your coffee break and share your thoughts! I definitely yawned a lil bit when they got to the texting argument, however this is really today’s relationship drama. 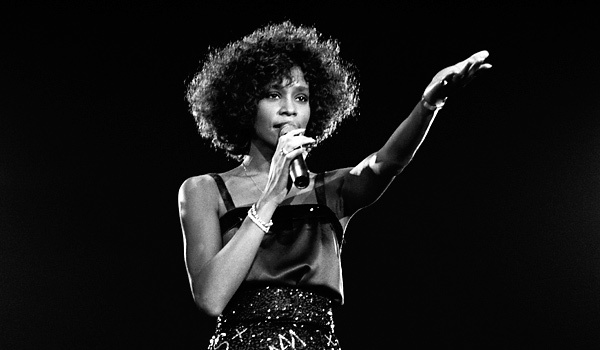 We’ve all been mourning the loss of the greatest vocalist of all time, Whitney Houston who passed away Saturday February 12th shortly before the grammy’s. There are still speculations on the cause of her death and although substance abuse was very prevalent in her latest years I just don’t want to believe that she’s gone because of it. Although I was thankful, I was slightly fed up with the grammy’s and their lack of tribute to Whitney Houston so I’m so glad Glee came through with a performance from Amber singing “I Will Always Love You” … check it out! 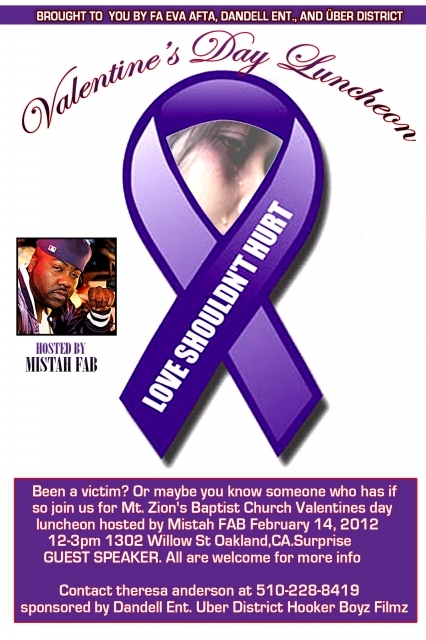 If you are or know someone who has ever been a victim of Domestic Violence come out to this Valentine’s Day Luncheon. It’s a great way to show your support, give and receive love, and enjoy yummy food and warm spirits! check out the deets! Even if you aren’t able to attend you can donate to the cause! Register for the “Band with us: Take a Stand” Ticket ($5 Donation) to get YOUR #LoveShouldntHurt Bracelet!